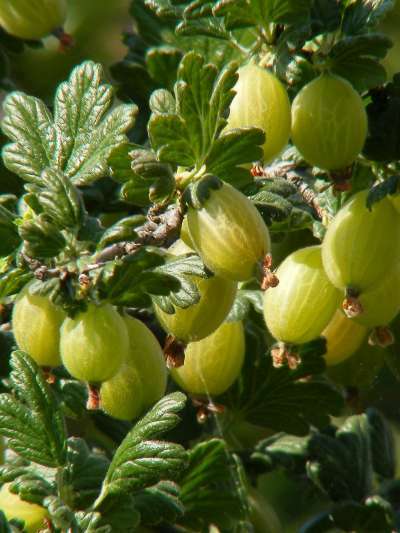 The fruits are medium to large, plentiful and light green becoming a soft pale yellow and eventually red. The flavour is exquisite, developing hints of rich apricot when fully ripe. Lady Delamene has proven to be a compact upright grower here, making an easily managed bush that can be planted just 4' apart. Suitable for dessert or cooking as a dual purpose variety and especially recommended for flavour.